In the following room the museum visitor can view the glasses of the Schaefer collection, containing hundreds of regional and international snuff bottles, from the 19th Century to the latest creations. 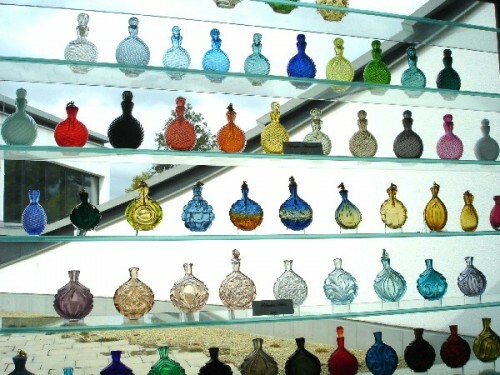 The colourful, round snuff bottles, which were traditionally made by glass blowers and glass decorators in their work breaks, focus the vitality and creativity of the glass makers of the Bavarian Forest and the impressive variety of technical and creative possibilities in glass. The Schaefer Foundation also engages in publications and exhibitions in the Glass Museum.